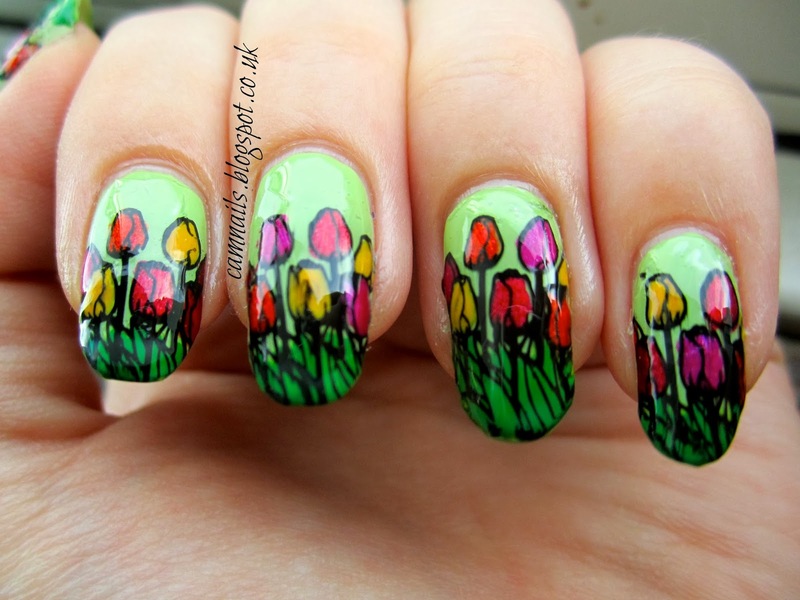 These are quite simple to make- pick up your image on your stamper as per usual and while it's on the stamper use nail polish to colour in the parts of the design you want to (here I coloured in the tulips and the grass below them) then add a generous coat of clear nail polish to the image and wait for it to dry (I usually leave mine about 15-20 minutes) then use tweezers to peel the whole thing off the stamper, place it on your (dry!) base coloured nails, use nail scissors to cut away any excess around your nails and then put another coat of the same clear top coat over the top, wrapping the tips. I used a few different polshes here, the background is Jessica Lime Cooler, the flowers are H&M Orange and Yellow, OPI Flashbulb Fuchsia and A England Rose Bower, and the leaves are NYC High Line Green. I love the effect you can get with stamped decals, they can produce some exceptional nail art images. 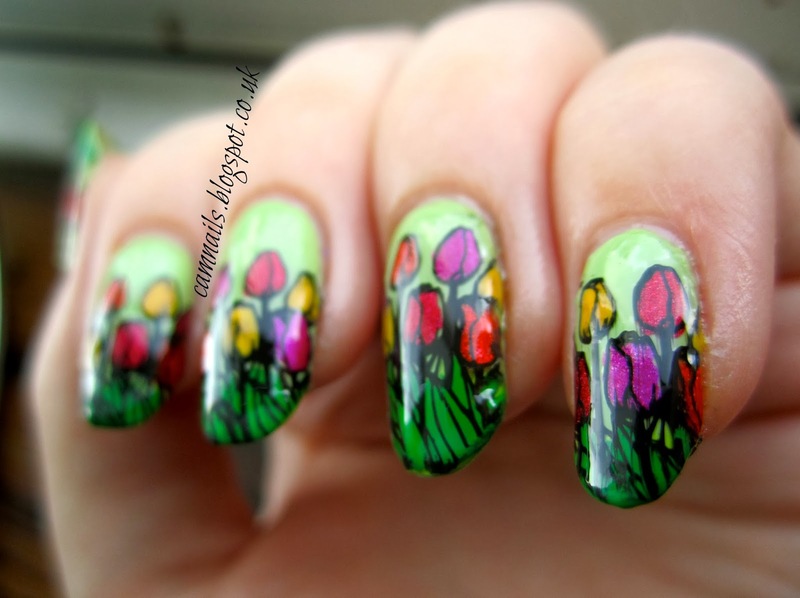 Remember to check out all the other 33 day challenge flower designs, there will be some amazing nail art! Wonderful mani! thanky for the tips! This looks beautiful! I need to try out this stamp decal technique :) I love the colors you used!